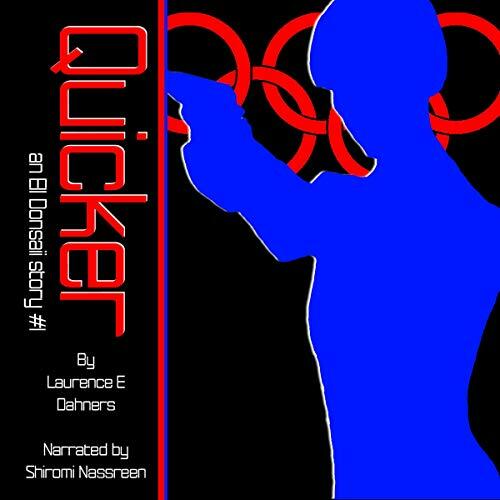 Showing results by narrator "Shiromi Nassreen"
Quicker is a near-future SciFi/Thriller whose young heroine, Ell Donsaii, is an intrepid athletic phenom who reminds one of David Weber's Honor Harrington. Like Stieg Larsson's Lisbeth Salander in The Girl With the Dragon Tattoo Ell is also a mathematical genius who, instead of counting sheep, works on her own theory of quantum mechanics to help her drift off to sleep. At once shy and concerned about her social skills, yet well loved by those around her, she finds herself at the center of a terrorist plot at the Olympics.